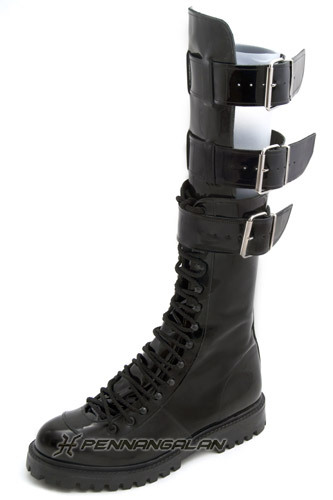 Our reputable Smegg style knee-high boots with on a very comfortable Commando sole (1.2"). Top half of the calf is open at the sides and back with three straps. Available in real leather and VEGAN options. Our VEGAN boots are made from 100% animal-free materials.